Peppers, (Green Chiles, Salt, Citric Acid, Calcium Chloride), Cream, Cornstarch, Seasoning (Salt, Chile Peppers, Spices, Paprika). Enriched Flour (Wheat Flour, Niacin, Iron, Thiamine Mononitrate, Riboﬂavin, Folic Acid), Butter (Cream, Salt), Sunﬂower Oil, Water, Salt, Soy Lecithin. Remove frozen quiche from plastic wrapping. Leave quiche on cardboard tray. Place tray in microwave. Cook on HIGH for 2 minutes and 30 seconds. 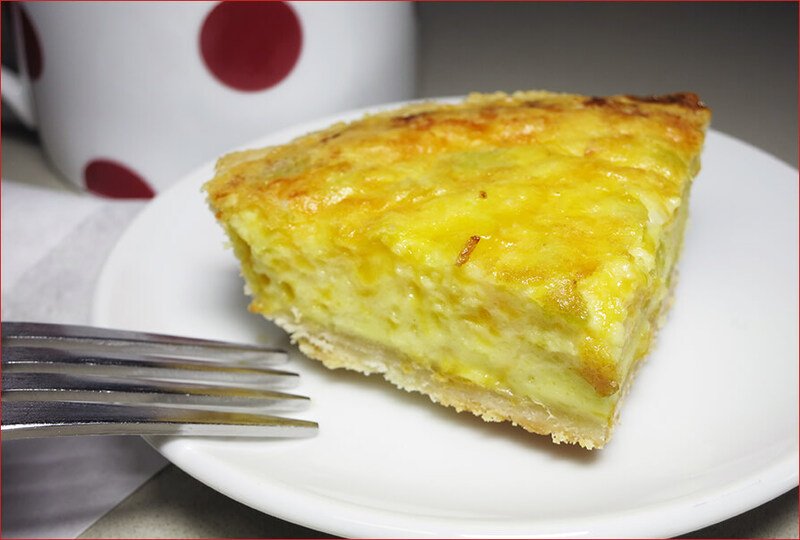 Let quiche stand 1 minute before serving. CONFIRM product’s internal temperature is at 165°F. Instructions are based on a 1,000 watt microwave set on HIGH. From frozen, remove quiche from plastic wrapping and cardboard tray. Place in pre-heated 400°F oven on metal baking sheet and heat for 24 minutes. Let quiche stand 1 minute before serving. CONFIRM product’s internal temperature is at 165°F. Adjustment to cooking times may be required due to variations in all ovens. Use caution, as product will be hot. Breakfast is the most important meal of the day, and we’re always looking for fun ways to spice it up. We’ve been meaning to try our hand at baking a breakfast quiche, but the crust always holds us back. Even though it’s relatively easy to make pie crust, it seems like a stretch for an AM treat. 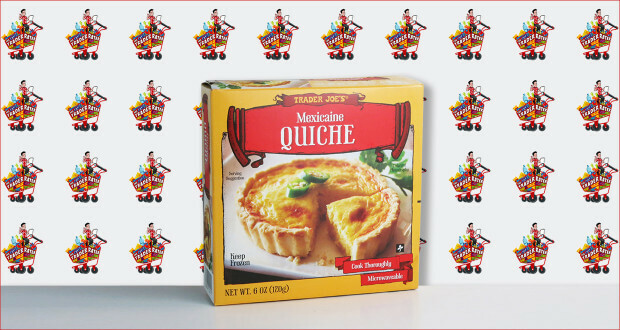 That said, we were exited when we stumbled upon these perfect-for-two Mexicaine Quiches in the freezer section of our local Trader Joe’s. Obviously we had to try them. The verdict? We’re happy to report these little egg pies were a hit, and they made for a tasty and festive breakfast. The crust was buttery and flaky in all the right ways, and the inside was fluffy, soft and well-textured. As a note, we baked ours (we’re personally not fond of microwave cooking), and although it took close to 30 mins, the quiche came out smelling and tasting fresh made. Another note, TJ’s has a few flavor options for these quiches, and while this one doesn’t call out “cheese” in the name, there is in fact Cheddar and Monterey Jack cheese within. It was a bit of a surprise for us (that’ll teach us to read the ingredients first!). We weren’t initially sure what to make of this particular flavor based on the name. What exactly is “Mexicaine”? Apparently, it is the feminine form of the word “Mexicain” which is the French word for “Mexican”. Get it? 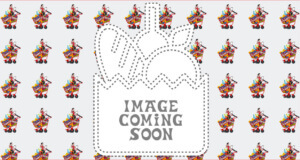 Quiche is French! Anyway, the flavor has a hint of spiciness, which was a welcome – but certainly not overwhelming – kick of flavor. We thought there might just have been jalapeño flavor added, but upon closer inspection, we found small shreds of the pepper mixed in the egg mixture. All told, we were very impressed with this eggy treat, and it’s a welcome addition to our freezer for those mornings when we’re looking for a fun way to kick start the day! Summary : With a hint of spiciness, and a near-perfect texture inside and out, this Mexican style quiche was a hit. Definitely a welcome addition to our Trader Joe's shopping list!